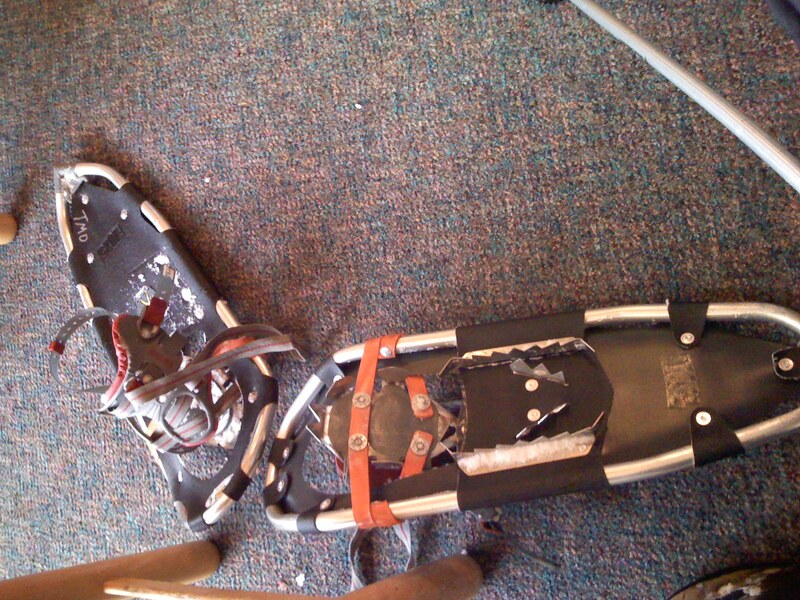 On my first trip to Taos, lured to the southern Rockies by William Brokhof, I had my first chance to try shoe shoeing. For those who haven’t tried it but, think the beauty of hiking with the exercise of trail running, with just a bit of excitement that comes from being stranded miles from anywhere in hip-deep snow. The first time for something like this often one of the most memorable. 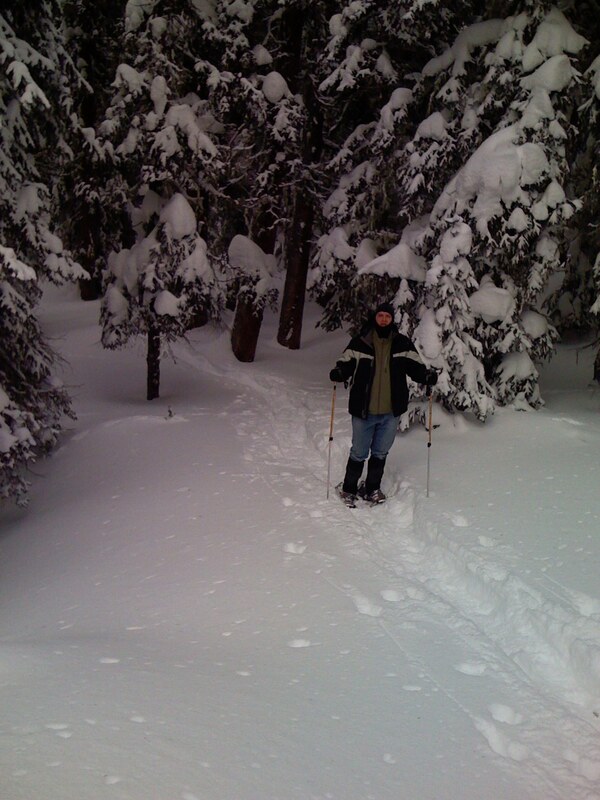 William and I headed out on one of the more popular routes that leads from The Bavarian restaurant in the Taos Ski Valley up to William’s Lake (yeah, how about that?). Continuing on from the lake one could theoretically go on to summit Wheeler Peak (13,161 ft), which is visible from the logical turn-around point, but doing so is challenging in the summer and pretty dumb to even try in winter. My half-hearted attempt to do so in the winter of 2011 found me moving at roughly a mile-per-hour on a 45 degree slope in loose, thigh-deep snow. It is a challenge I’ll have to take on at some point, but not solo (as I was) and such a round-trip effort would mean starting in early morning to ensure it doesn’t become a one-way trip. The entire round-trip is something short of 4 miles but can easily take 2 hours. And, despite its reputation as “one of the most popular routes”, in the 4 times I’ve done it I’ve seen a total of about 10 people. 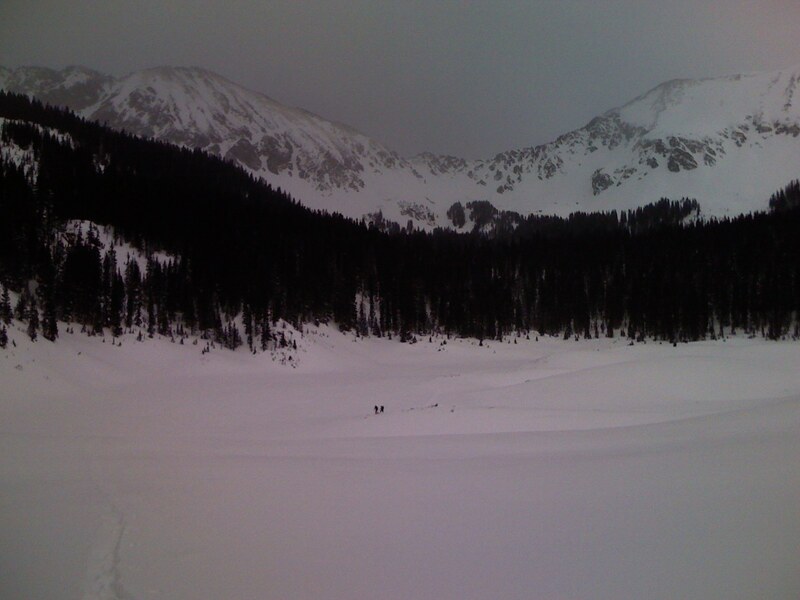 “Popular” is relative when talking about lung-busting, avalanche-prone hikes in the middle of winter at over 11,000 ft.